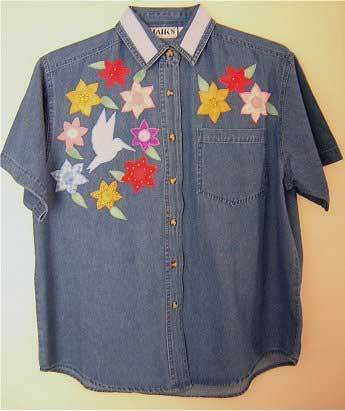 Hummingbird amidst flowers on a denim shirt. Free applique pattern to print and sew. Also included is decoration for shirt collar. This is another easy and fun shirt to make, so enjoy sewing! !